With summer here, many of us are starting to think about summer vacation. Things tend to be more laid back in the summer, especially during vacation time. We’re more relaxed, and more care free. Vacations are great, but don’t forget that safety always comes first, and should never be discarded, even when you’re on vacation. 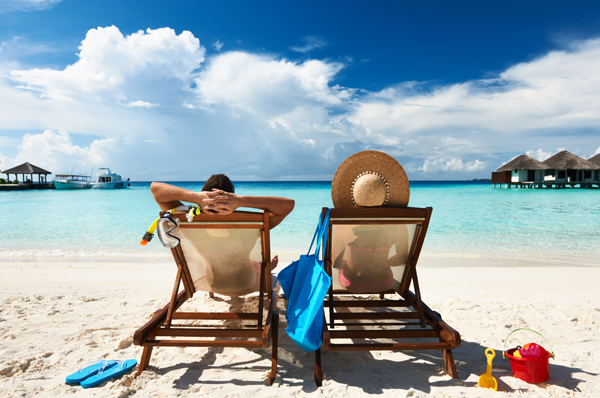 At Worby Groner Edelman, our White Plains personal injury attorneys have decades of experience representing clients injured in all types accidents, including those that occur during vacation time. Let common sense dictate your behavior when you’re on vacation, just like it would when you’re at home. Hotels have an obligation to take reasonable steps to provide for your safety, but a hotel is not an insurer of your safety. Be aware of your surroundings in any hotel. Try and notice whether side entrances to the property are kept locked to prevent access by people who shouldn’t be there. If you’re at the hotel pool or on the beach, don’t leave personal property unattended when you go in the water. Act safely while you’re using the hotel’s facilities. Don’t dive in to the pool unless you’re absolutely sure the water is deep enough for diving. In addition, you should always be aware of the location of the closest stairway so that you can escape in the event of a fire; elevators don’t operate when a fire alarm is triggered, and you may have to leave in a hurry. Be careful when you open your door, and don’t assume that just because someone who knocks says they are from the hotel staff, they actually are. Under the right circumstances, a hotel can be held responsible for crimes committed against you in the hotel, such as a mugging, or an assault. Of course, a hotel has the same obligation as any other business owner when it comes to fall down accidents. However, the issue can get complicated, because certain chain hotels are owned by local franchisees, and not the parent company. That’s just one of the reasons why you should call Worby Groner Edelman LLP early on, so that we can sort out the issues, and determine whether there is a viable case to be brought against the hotel. You should also be aware that the time to bring a case against a cruise ship is extremely limited, in most cases less than one year. If you are involved in an accident while on vacation, call Worby Groner Edelman LLP for a free, no obligation consultation. Our White Plains accident attorneys have extensive experience in all types of personal injury cases. We will answer all of your questions, help you process your medical bills and sort out any available insurance coverage. We will handle your case efficiently, and move your case to resolution in a prompt manner. We will do everything possible to settle your case for the right dollar amount, but we will simultaneously prepare your case for trial so that if the insurance company will not settle the case for a fair figure, we will be prepared to try your case.